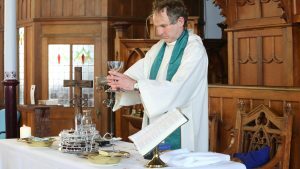 We worship every Sunday morning at 10.30 a.m. We have a short communion service on the 2nd Wednesday of each month, also at 10.30 a.m. Sunday Communion is usually on the first Sunday of each month. We welcome children and ensure a programme is available for their needs as part of our Sunday worship. Other services take place from time to time for example, for Christian Aid Week and at Advent and Christmas. 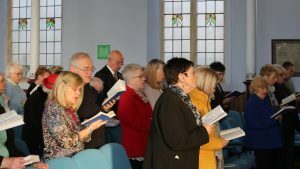 We welcome ministers and lay people and members of the congregation to lead us in worship when our minister is engaged elsewhere with our sister Churches, Bethany in Ystrad Mynach and Hope and Market Square in Merthyr. This allows us to experience a range of worship and preaching styles.